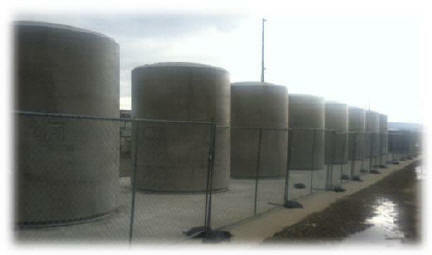 CHBWV relocated 278 canisters of vitrified HLW from the Main Plant Process Building to an onsite storage pad. This milestone was safely completed on November 17, 2016. The HLW storage pad was constructed in 2013; and the canister relocation started in 2015. 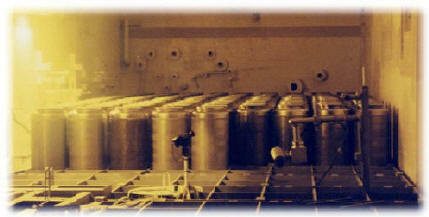 The HLW canisters were placed in long-term storage in a total of 56 robust concrete storage casks. 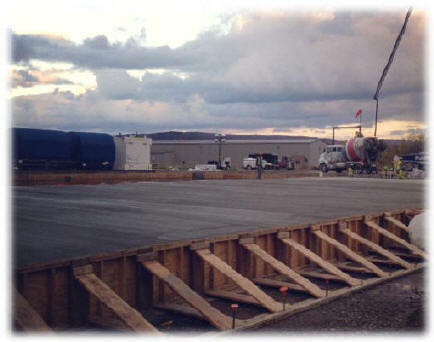 Vitrified high-level radioactive waste (HLW) stored inside the Main Plant Process Building (MPPB) at the West Valley Demonstration Project is being prepared for relocation to an outdoor storage pad. The waste was produced at the WVDP during the vitrification (or solidification) of liquid waste. It is being loaded into lined casks and relocated to a storage pad on the WVDP premises so deactivation activities can proceed inside the MPPB. The waste will remain in storage at the WVDP until a federal waste repository is available to accept it for disposal.